(Richmond, VA—September 25, 2017) 98% of donor registrations in the U.S. come through DMV and driver’s license partner transactions. DMV offices and their employees play an invaluable role in increasing the number of registered organ, eye and tissue donors. Donate Life America (DLA) and Donate Life State Teams are taking this week, September 25-29, 2017, to say thank you to Motor Vehicle Departments (DMVs) across the country for their partnership and commitment to asking the donor registration question to their customers every day, helping to save and heal lives through organ, eye and tissue donation. 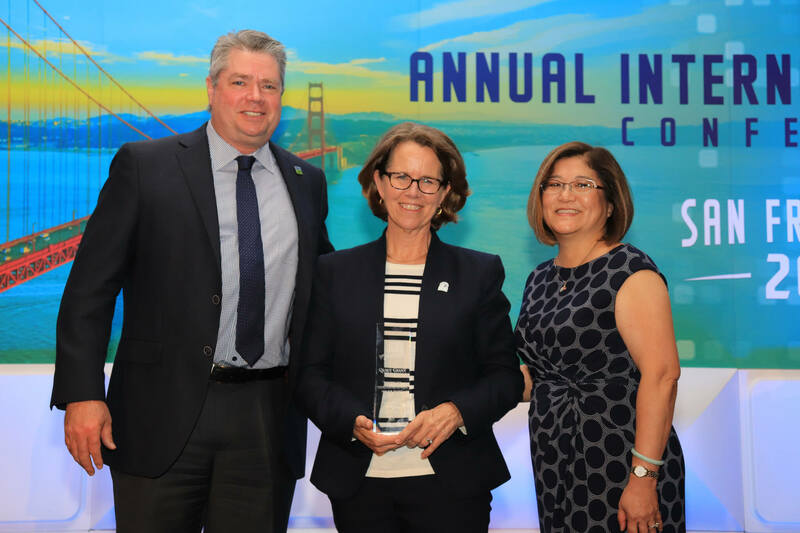 In recognition of its ongoing service and commitment to the cause of donation, DLA has presented the American Association of Motor Vehicle Administrators (AAMVA) with this year’s “Quiet Giant” Award. The “Quiet Giant” Award is given to an individual(s) or organization that has made a significant contribution to increasing organ, eye and tissue donation in the United States by modeling the phrase “service above self.” The award states “looking for opportunities to serve, not for praise.” AAMVA’s leadership and support of DMVs to ask the donor registration question every day and to every customer, has helped save and heal countless lives. DLA presented the award to AAMVA leadership at the 2017 AAMVA International Conference. 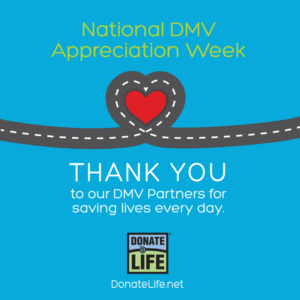 During this week, National DMV Appreciation Week, September 25-29, 2017, the Donate Life Community will be showing its appreciation of DMV partners by celebrating this vital partnership and saying thank you to staff and leadership of DMVs across the country through national and local events and outreach. To register your decision to be an organ, eye and tissue donor in the National Donate Life Registry, please go to RegisterMe.org.